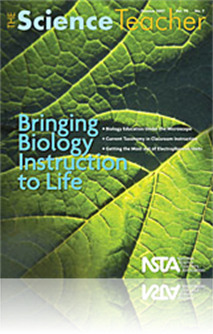 In a collaborative effort between university researchers and high school science teachers, an inquiry-based laboratory module was designed using two species of insecticidal nematodes to help students apply scientific inquiry and elements of thoughtful experimental design. The learning experience and model are described in this article. This article describes a week long inquiry activity that uses two different kinds of nematodes to help students learn about good experimental design. Everything is laid out for the reader. There is background information about nematodes as well as a day to day explanation of the classroom integration as well as many helpful photos to make this a great high school biology activity.